The smartphones were pulled from Blackberry's online store this morning, as well as older devices like the Classic. The DTEK50 and DTEK60 are still available for purchase at discounted prices. Blackberry came back in 2015 with the release of the Priv. While the device fell flat in the market, it did get people talking about the former smartphone king once again. 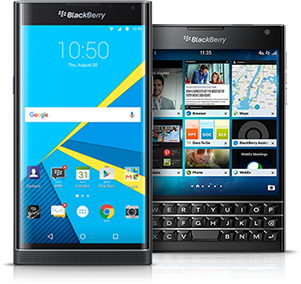 Now anticipation is high for the Blackberry KeyOne, the latest Android device from the Canadian company. While initial reviews and first impressions are largely positive, the phone is still unavailable (save for a few smartphone retailers in the U.K.). However, it looks like Blackberry is making room on its digital shelves for the upcoming device. As of this morning, the Blackberry Priv, Passport, Classic, and other devices are no longer available for purchase on Blackberry’s online store. The only devices available at this time are the DTEK50 and DTEK60 devices Blackberry released to lackluster sales in 2016. Accessories and cases are still available for the Priv et al. In addition to removing its older devices, Blackberry has reduced the price on the DTEK50 and DTEK60 to $229 and $460, respectively. This is a respective savings of $70 and $39. Blackberry recently delayed the availability of the KeyOne until later this month, so it’ll be a while yet until the phone is available for purchase. With the removal of the Priv and Passport, though, Blackberry looks ready to sell it.